While the regulations have been hailed as a victory for animal rights, experts argue the implementation will be the key factor. 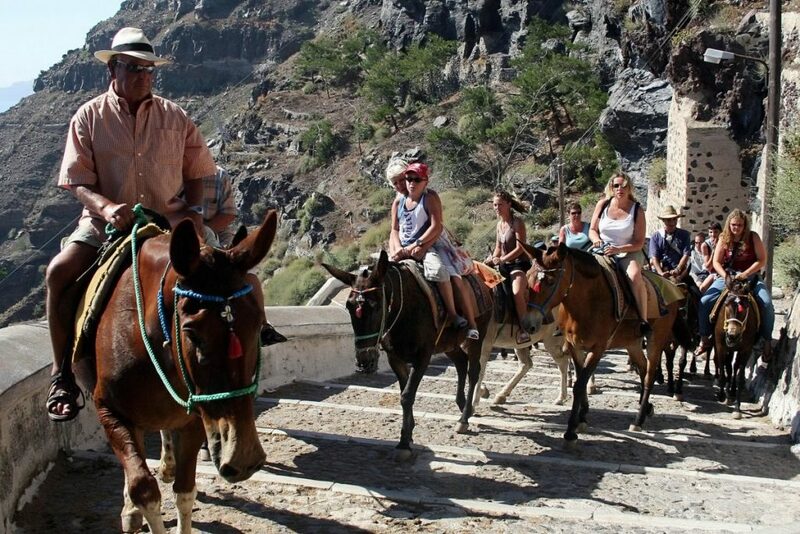 Working donkeys in the famous tourist island destination of Greece’s Santorini can finally heave a sigh of relief. Thanks to a decision of local authorities to ban animal owners from burdening donkeys with excessive weight. In a new set of regulations announced by Greek Ministry of Rural Development and Food recently, the animals “should not be loaded with a weight excessive in size, age or physical condition,” CNN reported. According to The Guardian, Santorini island lures millions of tourists to its shores each year. However, the growing footprint has also taken a toll on the island’s donkey population. In order to reach the tourist island’s clifftop capital Fira 400 metres (1,300ft) above sea level, tourists usually rely on donkeys. Those wishing to ride donkeys up steep slopes from the shore have to weigh less than 100 kilograms (220 pounds) – or one-fifth of the donkey’s body weight. Over the years, the island has seen more equines sustaining spinal injuries, saddle sores and exhaustion than ever before. This had prompted the intervention of animal rights group who vociferously campaigned against the authorities for not caring about the poor animal. An online petition against the exploitation of animals gathered more than one lakh signatures. Under the new regulations, no injured animal can be put to work and the caretaker should ensure adequate food and fresh drinking water for it, a report in USA Today said. “It’s not only [donkey] owners in this case who need to be responsible, who have to say ‘you appear to be too heavy. I am sorry, but my animal has limits’. Tourists, too, also need to make an informed decision,” Paul McGlone, the chief executive of the UK-based Greek Animal Welfare Fund, told The Guardian.